It is true that we would rather support people than bricks and mortar, but every now and then, we come across a need that we feel duty bound to get behind, that involves building something. But rest assured we do not get involved in these projects if there is an expectation from the community towards the donor. This is why the community involved in any of our building projects is carefully considered and thoroughly relied upon to inspire us to inspire them. We are not in the habit of building no strings attached schools and handing out a solution without commitment. 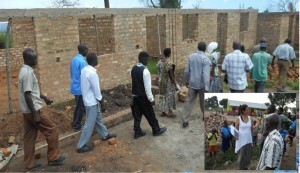 The building works we are involved in are dependent on community involvement. The building projects only go ahead when we have the involvement of the surrounding community. That is we provide them with the raw materials needed and the local community volunteers their skill and labour to construct the building. This means Ugandan’s are solving Uganda’s problems – not us. Rallying the community together to support an education project is essential to its survival. Often it doesn’t require much inspiration from us. Often it is the community that inspires us to provide them with the resources to dictate their future. 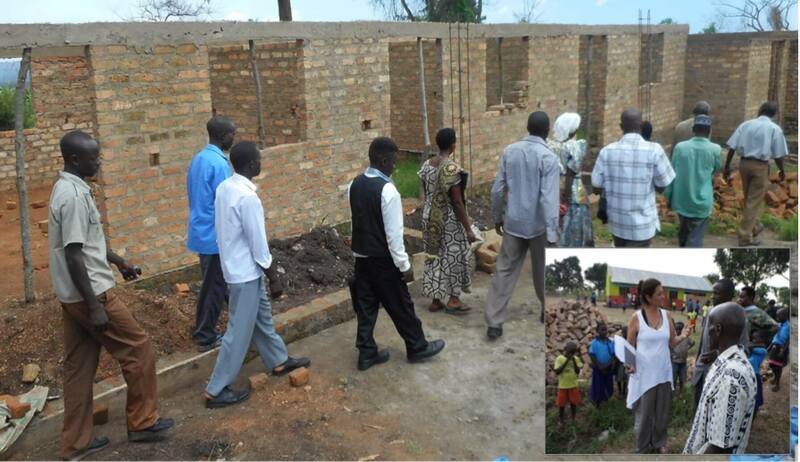 Our building projects, or rather, our community empowerment projects are still in their early days. As we have explained to these communities, we are not the organisation that will come in, build a structure and leave you to it within a few months. We are a small organisation that will assist in monetary contributions for raw materials and specialist trades alone. Our size and resources means that these are not swift projects. But rest assured brick by brick these structures will be completed. This serves us with two purposes. We are not this community’s saviour – nor do we wish to be. We are this community’s right-hand-man, we want to see them do the work for their people. Which we can successfully report is very much the case. There is no hierarchy of donor and recipient – but a mutual respect and mutual desire to see a successful outcome for these projects. We are partners. Please see our community empowerment projects in depth below, for a more comprehensive understanding of their conception and progress. We were introduced to Kanani by Fr Tamale, a trusted friend and conduit. Our initial involvement was merely donating a small amount to cover raw materials for the villagers to transform a temporary mud brick and palm leaf roof structure into a permanent classroom. In 2014, Jo and Steve took two of their children to Uganda to put faces and places to the names so often heard around the dinner table. Before leaving for Uganda, Vanessa managed to raise a small amount of money to donate to a project that captured her attention. This was to be Kanani. After visiting the school and meeting the community she was inspired to raise money for the following year. 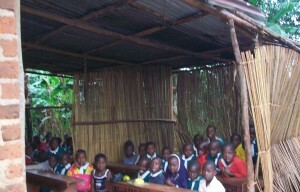 To date there have been 3 classrooms built with these donations due to the fact the community has built them with the raw materials supplied. But what exactly inspired Vanessa to donate her money to this particular project, especially when there is so much need to be filled in the country? Their story. 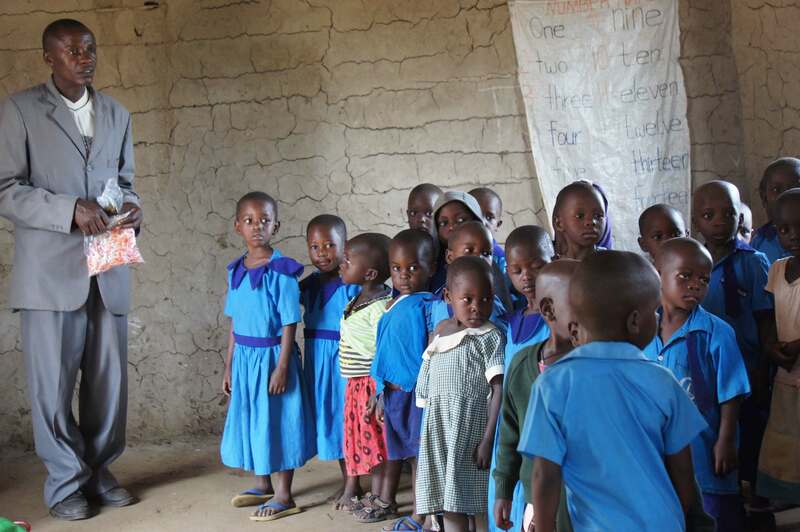 In rural Uganda education is often undervalued with families preferring to keep children at home for work duties. Kanani is one of the exceptions to this rule, they recognise the imperative need to educate their children in order to give them a chance at a successful future. Kanani was conceived in 1969 on land donated by Kawombe Stephano and his family, and by a few concerned parents of the surrounding village. These concerns were a product of the extreme civil unrest present at the time and the unfathomable dangers facing their children on their long walk to the nearest school.The children would walk many kilometres along a busy highway with many dangers including but not limited to; abduction (often in to child soldier armies), death or serious injury by collision with motor vehicles, and starvation and dehydration. Determined to change the fate of their children, the villagers constructed it’s first semi-permanent structure which would house the children for lessons. However this achievement was soon to be foiled when the school was burnt down by none other than Idi Armin. The children were once again forced into re-taking the dangerous route to school. Enter World Vision. Once the civil unrest had died down they erected 2 permanent classrooms and a toilet block, supplied some desks and a few teaching aids. World Vision being a mammoth organisation does not have the manpower or time to invest in a small project such as this. Enter ChanCes. 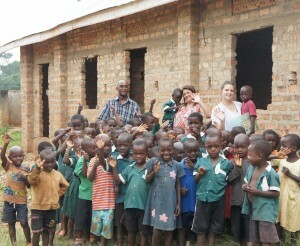 ChanCes is now in a position to support the funding for this community to complete their school over the coming years. However the involvement doesn’t stop there. The great thing about building projects is that there is tangible and physical evidence of their progress. Please see below to view the ongoing transformation of this primary school. 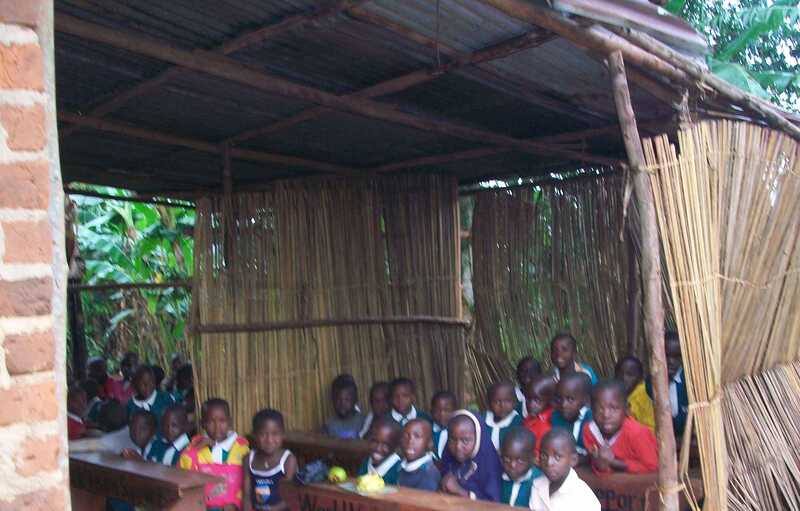 In 2012 Principle Moses approached ChanCes requesting we build him a school for US$6000. At that time the resources just weren’t there. In 2014 he was able to raise $2000 on his own and we were fortunate to outsource the remaining $4000 from Sue, Mary and Crystal from The Pearl Project in Melbourne. ChanCes are now able to contribute to the completion of school buildings at Queen of Peace and are completing the second block of classrooms as we write their story. Principle Moses oozes passion and enthusiasm for the future success of his very poor community school, which in turn inspires passion and determination in us helping them to get there. The school itself has no support from the surrounding parish or government but it is no deterrent to the parents and teachers committee who have the determination and passion to see the school and their children succeed. 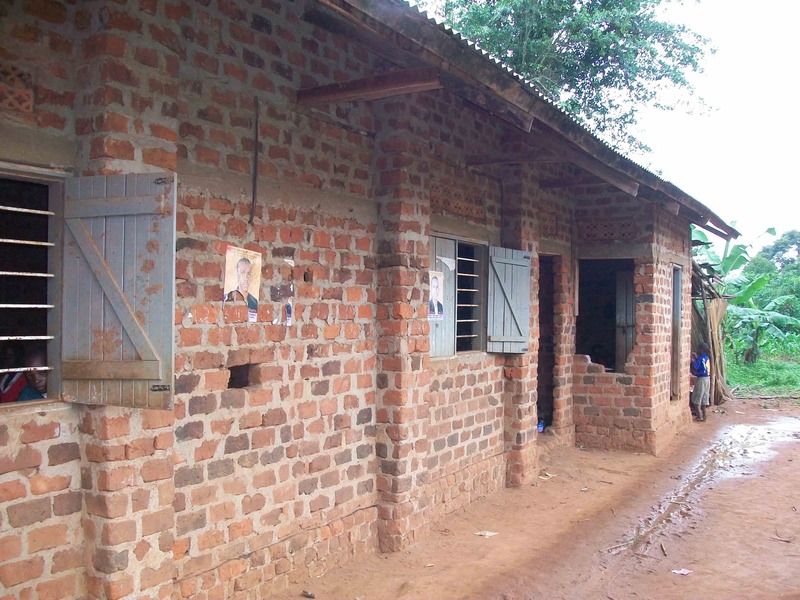 The necessity to replace the existing mud brick classrooms and build new solid structures with concrete flooring is a result of a terrible infestation of “Jiggers” living in the mud classrooms. Jiggers are parasitic insects that burrow into the children’s feet laying eggs by the hundreds. Parents are forced to squeeze out the infestation from the children’s blister-like sores every night to avoid the spread. The eggs are microscopic and the ordeal can be extremely painful for the children. However, buildings with concrete flooring and walls made of bricks are immune to jigger infestations. A recent email from Headmaster Moses Sunday (…yes he was born on a Sunday) tells it like this: “A Cry for Help” Hi mammy, your Ugandan children at Queen of Peace school are troubled with jiggers and dust. Help to free us from this danger.